Numerical calculations of electronic structure of materials are an important tool in various fields of condensed matter physics, materials science, and engineering. Today’s supercomputers allow accurate ab initio simulations of systems consisting of several thousands of atoms. One of the most successful computational frameworks in electronic structure calculations is Density Functional Theory (DFT). First-principles simulations within DFT are a major consumer of supercomputing resources in many computing centres. Grid-based Projector-Augmented Wave method (GPAW) is a versatile software package for first-principles simulations of nanostructures, implementing DFT and time-dependent DFT. GPAW is implemented using a combination of Python and C programming languages, with high-level algorithms implemented in Python, while the actual time-consuming kernels are implemented in C (or imported from high performance libraries). MPI routines are called both from C and from Python. However, the current linear response time-dependent DFT implementation contains a large matrix, which is replicated on all CPUs, and when performing simulations for larger and larger systems, memory runs out due to the replication. The aim of this project is to profile hybrid MPI/OpenMP version of the GPAW code using TAU and TotalView tools, to benchmark the code, identify its performance bottlenecks, and (if time permits) try to improve its performance using the example calculation of the electronic structure of C60 (buckminsterfullerene) molecule. The project includes visualization of the code profiling and benchmarking results, as well as visualization of the electronic structure of C60 molecule. The student will learn to compile and run the codes on the parallel machine. The student will get familiar with the use of high performance computing in materials science and the underlying methods. The students will learn how to use TAU and TotalView tools to profile high performance computing application. The student will learn how to benchmark an application. Education in computer science, physics, mathematics, chemistry or materials science. 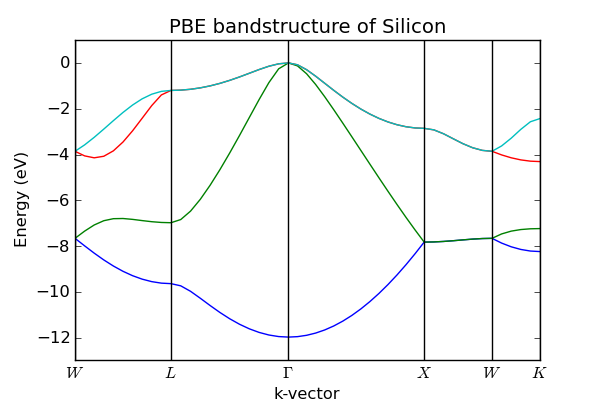 Interest in methods (such as DFT) and codes (such as GPAW or Quantum Espresso) for calculation of electronic properties of materials.